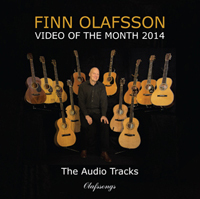 "Video of the Month 2014" is the headline of a unique activity by Danish composer and guitarist Finn Olafsson. 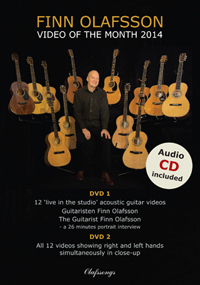 Every month in 2014 a new "live in the studio" recorded video was uploaded to YouTube featuring Finn Olafsson's acoustic guitar music and acoustic guitar techniques. In 7 of the 12 videos Finn Olafsson plays brand new tunes which have never been published before while Finn Olafsson plays tunes known from his CD-albums in 5 of the videos. In two of the videos Finn Olafsson is assisted by his brother Torsten Olafsson on tablas. We used three cameras: One focusing on Finn Olafsson's left hand, another on the right hand and the third filming the "total" of Finn Olafsson playing the guitar. The setup was engineered by Kim Ingemann Erichsen, Peak Production ApS, who was also in charge of the editing of the videos. 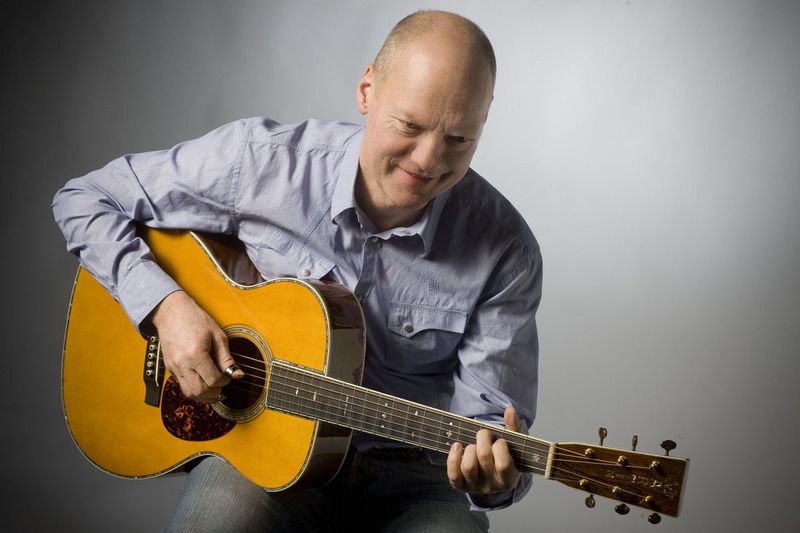 An exciting and interesting feature for many acoustic guitar fans is that Finn Olafsson plays on different Danish Kehlet Guitars and American C.F. Martin Guitars and David W. Musselwhite guitars from video to video. In order to give all the guitars that Finn Olafsson plays in the videos equal conditions for optimal sound, a new set of exactly the same brand of phosphor bronze strings was put on on each and every guitar. The guitars were recorded by sound engineer Ronnie Bille with a pair of DPA 4041 microphones "directly" through an AD stereo converter to a digital recording system. The audio recordings were edited and mixed by Tobias Folting and Finn Olafsson in Folting Studio engineered by Tobias Folting. 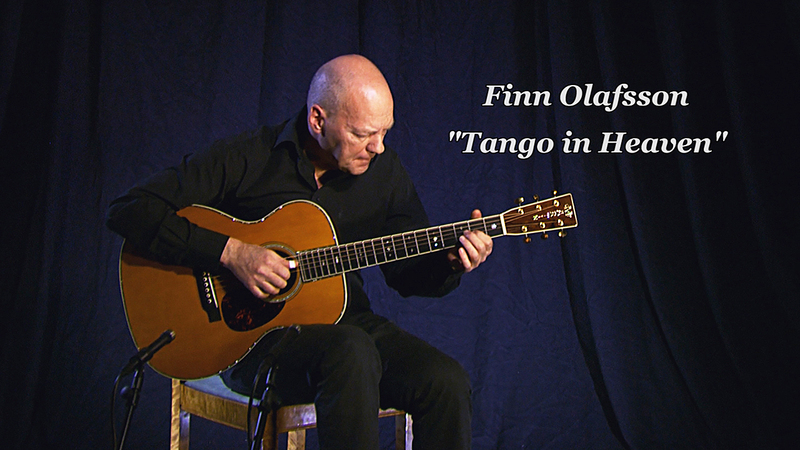 For every video there is an individual, dedicated webpage here on Finn Olafsson's website where you can read in much detail about the background for each of the guitar pieces, the story about each of the guitars he is playing in the videos, the different guitar tunings used and some 'how to play it' advice. The essays are extensively illustrated with photos. In Spring 2015, a double-DVD set including an audio CD, "The Audio Tracks", with all the 12 videos and some extra specials, was released. 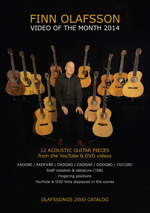 In April 2016 the double DVD/CD set was followed up by a music book including all 12 acoustic guitar pieces presented as sheet music / guitar TAB. 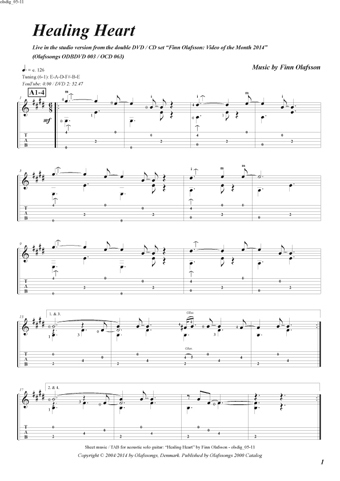 All the music pieces are also available online for purchase and download as separate sheet music / TAB PDF files. If you are wondering how the title of this tune relates to the music, I fully understand. The tune is indeed not meant to be tango music. I wouldn't even think of trying to compete with Danish composer Jacob Gade on this point. Tango is a name - or, it was a name. It was the name of a very good friend of mine. My dog. 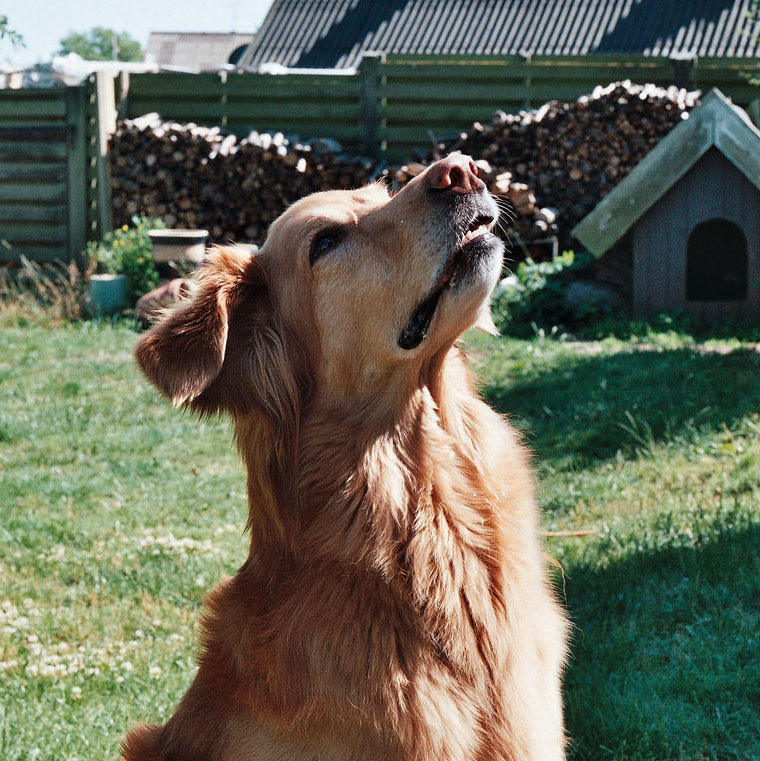 A dog of the Hovawart breed. In my point of view a breed which is very difficult to bring up with succes:-) But he was a very funny, lovely and clever dog. I'm sure that many of you who knew him will acknowledge this. He joined every recording in my recording studio for ten years. Always behaving funny, perky and sometimes a little annoying - as when he drank our coffee right from the cups on the table. Or ate the food we were supposed to eat for lunch. Tango did everything a dog shouldn't do, but he was clever enough to get along with it because of his charming and funny attitude. Unfortunately, everything has an end: Tango got ill with a tumor in his shoulder and at a point of time I was told by the veterinarian that "from now on it is more for your own sake, that you let him live, than for your dog's." I couldn't stand to let the veterinarian put Tango to sleep right away, so I brought him back home where I took extraordinarily good care of him. I decided that I would write a tune for him, a tune which shouldn't be too sad, but a tune which could help us both to calm down - just like he always did when I grapped my guitar and began to practice. I also decided that he should hear his tune finished before he had to leave this planet. For 12 days I worked with the tune with Tango lying next to me all time long. Until the 6th of September 2010. From then on, at Christmas and at my birthdays, my daughter Maria always gave me greetings and gifts from "Tango in Heaven". I play "Tango in Heaven" in a DADGAD tuning - like in April's video "Playful Springtime" and in July's video "At the Country Fair". They are three very different tunes. All of them are played in the key of D.
The DADGAD tuning is one of my absolutely favorite tunings. I have written a lot of tunes in this tuning - maybe because it's so easy to make the guitar sound well. Furthermore, because it's very easy to play. For instance, you only need to use one finger to play an "empty" D chord - a chord with no thirds - which sounds amazingly well. It's so obvious and easy to play in the key of D that I, as far as I remember, when playing in DADGAD only play in the key of D. So this is an advantage as well as a limitation. In the text about the video of April 2014, "Playful Springtime", you'll find more about the DADGAD tuning. "Tango in Heaven" will be recorded for my next album "Acoustic Guitar 3" and it will also be available in tablature and staff notation in the music book following the CD-album. During the recent years my passion for the Martin Orchestra Model has increased a lot. 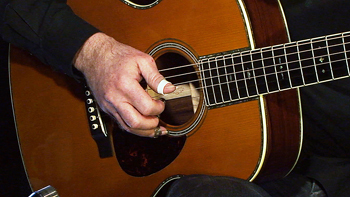 The OM is known to be very suitable for playing fingerstyle. It's very nice to sit with, due to it's smaller depth, compared to the D models. With a nut width at 1-3/4", a string spacing at 2-3/8" and a fine setup it is really enjoying to play. I have played quite a few OMs with different tonewood constellations and I find that the balance between the bass, mids and treble is splendid in all of them. In the video of April 2014 I play another C.F. Martin OM-45, a 2001 GE 1933 Golden Era Brazilian Rosewood/Adirondack Spruce. In the text about that guitar, I have also written about the Martin OM model in general. Here, I will concentrate on the specific 2007 C.F. Martin OM-45 (000-14 fret) Custom 1833 Restricted which I play in this video. But first a little about the 1833 Restricted Custom Shop models. The Martin 1833 Restricted Custom Shop models was a small batch of very special guitars which were produced round 2006-2008. In 2009, Rudi Bults at The Fellowship of Acoustics in Holland wrote about this batch: "1833 is the first year C.F. Martin the first, started his first luthier business in New York, where he moved to from Markneukirchen, Germany, where several Guilds of instrumentmakers made it almost impossible for him to do his work. The 1833 custom is made in honour of this great continuing legacy, and just a few configurations with no more than 14 editions are being made of any one model. 14 is a magical number at Martin, only 14 Martin OM-45 deluxe are ever made. The Martin OM-45 deluxe maybe considered the rarest of all Martins. So this limited number of 14 for the 1833 custom is a blink to the past. Most of these models are being made in editions of 7 or less." According to a press release from US dealer Gryphon Stringed Instruments the 1833 Restricted Custom Shop models were made from wood you didn't usually see at the time on Martin guitars - and the appointments like binding, purfling and such, were exemplary as well. Indeed a very honorable gesture from Martin. 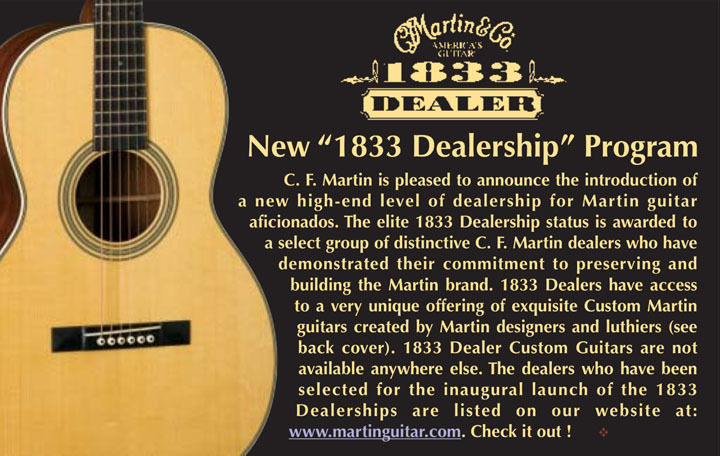 However, that's all I have been able to find about the Martin 1833 Restricted Custom Shop models on Martin's website. It's a pity that it is so difficult to pick up knowledge about these great 1833 Restricted Custom Shop models. I really think that they deserve an article when one of the books about Martin Guitars is going to be published in a new edition. But why did Martin produce and launch such Custom series? "The obvious question, beyond their wanting to sell more guitars, is why is Martin making these small batches of guitars? Although the company isn't making any bold announcements on that topic, our guess is that C. F. Martin has been acutely aware of the ever-widening range of materials and decorations that independent luthiers and small production companies have been utilizing. These 1833 models, which do not have specific model codes, allow Martin to tiptoe into this territory without confusing the faithful fans of all those time-honored guitar models from Nazareth." The OM-45 I play in this video is one of an edition consisting of only 6 guitars. According to the original Custom Shop specifications, it is in fact more correct to name it as an 000-14 fret guitar with long 25,4" scale. Nevertheless, the appointments are just like a style 45. So I guess that I, with a fine conscience, can "model code" it: "OM-45". The back and sides are made of Madagascar Rosewood with an Adirondack Spruce sound board (top). You often read that "Madagascar Rosewood is the closest you get to Brazilian Rosewood". In my opinion it's difficult to discuss grades of variabilities between different rosewoods. But this OM-45 is constructed with details very similar to the OM-45 1933 GE model, meaning that it can be relevant to make a comparison between the sound of Madagascar Rosewood and Brazilian Rosewood by listening to the guitar on this video and the video of April. I hope you'll enjoy "Tango in Heaven". Please don't hesitate to cruise through the other monthly videos.